California is different from the rest of the United States. People there are deeply committed to renewable energy, eliminating fossil fuels, and protecting the environment. Even its utility companies embrace clean energy, albeit as a result of a an aggressive Renewable Power Standard mandated by the state government. 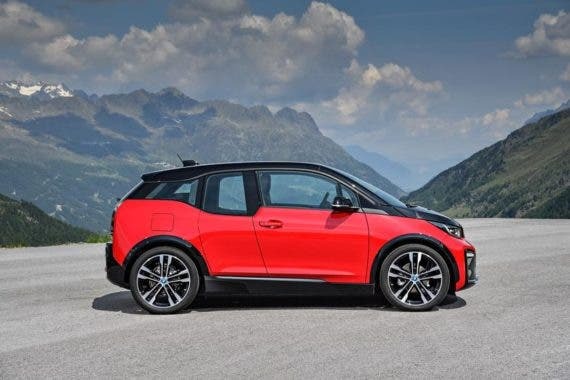 Southern California Edison, which serves customers in the greater Los Angeles area, has just announced it is cooperating with BMW to offer a $10,000 rebate to customers who purchase a BMW i3 electric car between now and April 30. To qualify, customers must prove they are an SCE customer and the car must be purchased, not leased. SCE employees are eligible for the rebate as well. The offer pertains to any model of the i3, including the REx with its onboard range extender engine and the performance-oriented i3s. The standard version of the i3 now has 114 miles of range. The i3s has 107 miles of range and the REx can go 97 miles before the gasoline engine kicks in. In addition to the $10,000 rebate from BMW, the utility adds another $450 under its Clean Fuel Reward program. Adding all the incentives together, a person who wants a new BMW i3 can save a total of $20,450 — $7,500 from the federal tax credit, $2,500 from the state of California zero emission grant program, $10,000 from BMW, and $450 from SCE. It’s almost enough to make a person want to move to Los Angeles! The program will help BMW move some of its i3 cars off dealer lots. Even with its new 33 kWh battery and longer range, the i3 still has less range than most other electric cars and sales have been modest at best. Still, it drives like a BMW and looks like nothing else on the road. Whether or not that is a good thing is a matter of personal choice. The i3 lists for $44,450. Put all the incentives together and it’s almost like getting the car for half off. Gotta love a deal like that!